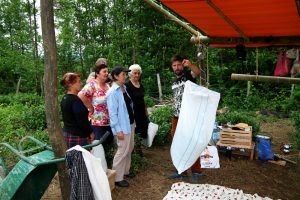 In the Georgian village of Kvenobani, situated in the foothills of the Caucasus, a Czech tea garden project based on a shared economy has been launched. 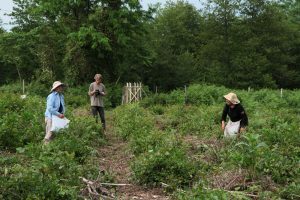 After months of hard work, tea enthusiasts headed by Petr Sič have cultivated a tea plantation and offer the chance to lease an are (100m2) of tea plants and not only enjoy growing and picking one’s own tea, but also to attend workshops on how to process it. 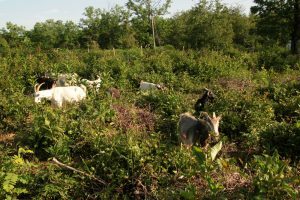 The project, which is in the spirit of “tea agrotourism”, supports local tea producers and the inhabitants of the area can make a living by offering accommodation or catering. The project is being implemented in collaboration with local producers and is intended to be self-sustainable. In addition to its successful campaign on Hithit.cz, it has also received support from the Czech Development Agency under the B2B subsidy programme. The Czech Development Agency supports a whole range of projects in Georgia, one of the six priority countries of foreign development cooperation. In the beautiful mountain landscape of Tuska, for example, these include sustainable forest management, health care, support for small farmers and a project primarily focused on nature conservation, which also benefits the economic development of the region through its sustainable use and tourism. Unlike Tuska, where the number of tourists is increasing every year, the Guria region and the village of Kvenobani are completely untouched by tourism. “We believe that our “agrotourism attraction” will bring tourists to this region and thus increase the income of the local people, who will provide accommodation and catering for tourists. However, the most direct positive impact of the project will be on people employed in the tea industry in Kvenobani, either as a result of increased orders or improved know-how, particularly in the processing of tea,” says Petr Sič, who has been trading in Georgia for eight years, and has been focusing primarily on tea production for the last four. The choice of a country that would enable one to grow one’s own tea was not a difficult one. For us, Georgia is one the nearest tea-growing countries, has a long tradition in this industry and, what is more, Czechs have been very familiar with Georgian teas since communist times. “Georgia is culturally similar and trading is not hampered by excessive bureaucratic restrictions. In fact, the favourable visa policy is a nice bonus,” adds Petr Sič, according to whom tea tourism is almost non-existent in Georgia, unlike countries such as Sri Lanka. People interested in this project have the option not only to lease their own are of tea plantation , but can also get involved in the project as a volunteer and come for just a few days. The project naturally entails certain risks. In the event of a poor harvest, roughly 15% of the anticipated turnover would be at risk. The implementers of the project strive to reduce this risk by ensuring other sources of income and proper irrigation. Another risk is that the target group might not be interested in the product. “Fortunately, our product creates a unique story – “have your own tea”. Therefore, if there is a lack of interest, if necessary we can expand our target group at a relatively low marketing cost. We have tested this on non-tea clients and have approached two entities – the Signature restaurant and Bezobalu.org – the response was positive from both,” says Petr Sič. He can also rely on the help of a Georgian tea producer, Avtandil Lomtatidze, who is responsible for processing tea, including the lease of the tea plants needed. The land on which the Czech tea garden is situated, covering a total of more than 4200m2, was planted with tea plants years ago, but no one looked after them and they are now overgrown by thorn bushes. They have not been pruned for a long time, so are extremely bushy. This means that there is more than enough work to be done. If the pilot project is a success, around a third of the income should come from the lease of around 30-40 ares to individual leaseholders, another third should come from the provision of services directly relating to tea processing (especially workshops), and the rest should comprise the turnover from subsequent services and the sale of one’s own tea. The project should therefore be sustainable after the first year. 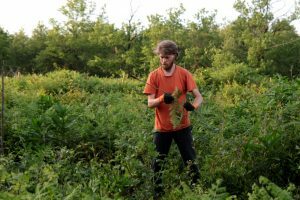 At the end of September this year Petr Sič returned from a stint of several months spent working in the tea garden. His job was mainly to build the necessary facilities, dig wells and do the endless pruning and weeding between the tea plants all over the garden. Only after all that has been done is it time for the best part: To harvest and then process one’s own tea. You can read more about the pleasures and pitfalls of working in a Czech tea garden in the heart of Georgia on the project’s Facebook page here.